We host live webinars where we walk you through our software (from start to finish), and answer any questions you may have. *All times are in EST. 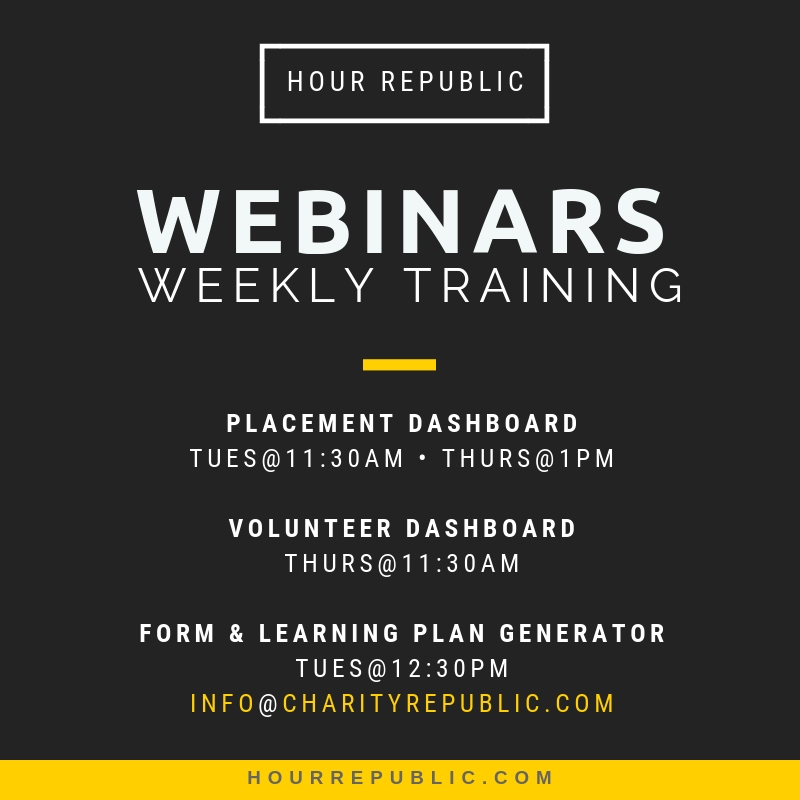 If you are interested in attending, then email us at info[at]charityrepublic.com with the time slot(s) that you are available. Then, we will happily share the webinar details with you.